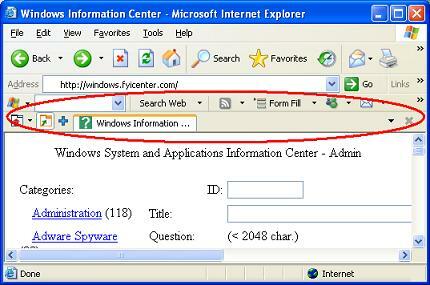 What is Windows Live Toolbar for Internet Explorer (IE) browser? Phishing Filter - Blocking phishing known Websites and suspicious Websites. News Feed Detector - Detecting news feeds files. Form Fill - Auto-filling data on Web forms. Tabbed Browsing - Opening multiple Websites with multiple tabs in a single browser window.  2009-11-28 FYIcenter.com: Veeran, what version of Windows Live are you using? And what is your IE version?